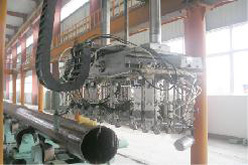 SIS-Pipe steel automatic ultrasonic flaw detection system is mainly for automatic ultrasonic flaw detection system of seamless steel tube, SAW tube, ERW tube, spiral welded steel tube, straight seam steel tube. 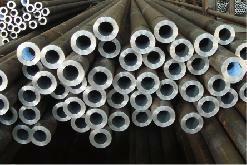 The product uses ultrasonic wave to detect, the detection sensitivity, false negative rate, false alarm rate, detection blind spot, the speed and scope of testing and other technical indicators have reached international advanced level. 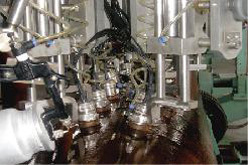 The detection system based on customer requirements, test methods and testing area custom, can be set to tube rotation or probe rotation to achieve the purpose of no missed detection, and can be arranged online or offline mode. 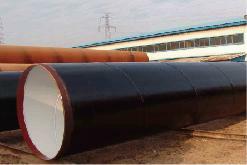 Can realize all major international standards, such as API Spec 5L, DNV OS-F101 etc. 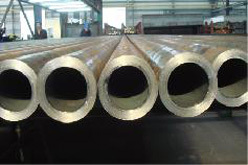 Quality inspection of seamless steel tube, ERW resistance welded pipe, SAW submerged arc welding tube straight weld, spiral seam, ring weld and heat affected zone, weld defects, burr, thickness within, tube body and pipe-aend.